The Best Time to Email Your Patients—this New Year! With the New Year comes New Year’s resolutions, and at this moment your patients are setting self-improvement goals to live better and healthier lives in 2016. 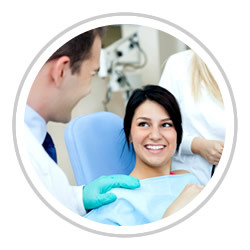 Lucky for you, dental care fits the bill. If January has typically been a slower month for your practice, encourage patients to visit your office by sending an email. Tap into your patient’s goals to maintain a healthier lifestyle by reminding them about the importance of oral health in the coming weeks. Because your patients are already vowing to make healthy changes next year, now is the perfect time to incorporate email marketing into your online marketing strategy. Stressing the importance of routine cleanings and dental examinations to your patients will help remind them that good oral hygiene can help pave the way for good overall health. You’ll also be showing patients that you care about their well-being. New to email marketing for dentists? You’ll be happy to learn that this is the method consumers prefer when it comes to interacting with a business. And if you’re able to offer a New Year’s savings to your patients, that’s even better. According to SalesForce, 7 in 10 consumers have made use of a promotion that came directly from an email. Consider including an exclusive limited-time price for your services while urging patients to book an appointment by a certain date. If you’d like to test the waters and send an email to your patients, we’ve included a sample below for your use. If you’re like most of us, you’ll be using this special time of the year to reflect and renew. Many of us decide to break old, unhealthy habits. Others resolve to take better care of themselves, improve their diets, lose some weight, or begin a regular exercise program. Start the New Year off right with a comprehensive dental exam and cleaning for just $_____. But hurry, this offer expires on _____________. Remember – the health of your mouth affects the health of your body, so get the New Year off to a healthy start. Stop by for a cleaning and see what’s new. Call for an appointment now. While everyone else is busy gearing up for the New Year and crafting their own resolutions, take the time to consider what you can do improve your practice’s marketing strategy in 2016.